Another spring, another spring Apple Keynote. Good old Tim Apple (if you don’t get that reference you are not adulting properly) took the stage today to do the usual announcing of new Apple products. Only this time Tim didn’t focus on products in the traditional sense. No, Apple delivered a two hour keynote on the brand new world of Apple Services. An updated news app, with an optional premium subscription. An updated Apple TV app, with an optional premium subscription. An Apple credit card, literally called Apple Card. And most importantly Apple Arcade, Apple’s first official step into the multibillion dollar games industry. You read that right. After years of rumors and speculations, Apple has officially jumped into the wonderful world of video games. 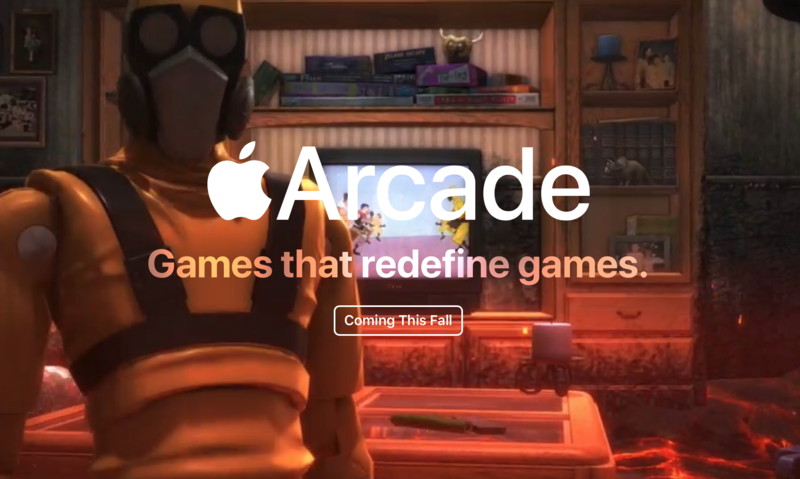 Apple Arcade is an all new subscription based games service that will work across all of your apple devices. One subscription gives full access to the entire library of games, which will include exclusive, on your iPhone, iPad, AppleTV, and Mac. And that library of games is looking absolutely amazing. During the keynote Apple had a great video featuring some of the games and developers coming to their platform. Among those developers were Charles Cecil, Sam Rosenthal, Cedric Adams, and the legendary Hironobu Sakaguchi. That’s right the man behind Final Fantasy had a prominent guest spot in Apple Arcade’s world premiere. Alongside the incredible stream of games, Apple also took a direct shout at the competition. Apple Arcade will not be a streaming service, instead allowing you to download and play any games any time without the need to be tethered to an internet connection. But wait theres more. Apple also took a moment to proudly exclaim that no games on Apple Arcade will have Ads or in-app purchases. Couple that with the commitment to privacy and a subscription that can be accessed by up to 6 family members, via family sharing, theres plenty of reason for Apple to feel confident with their service. Although the Keynote was packed full of cool and exciting announcements, Apple continued the current tech trend of omitting details. As of right now we know Apple Arcade will be available Fall 2019. However, we don’t have answers to some of the more important questions. What is the price of an Apple Arcade subscription going to be? What titles can we expect to be available when it launches? Will there be any exclusives? Apple’s positioning as one of the top mobile device manufactures and the only true alternative to Windows computers gives it a ton of leverage. No Apple user will need to go out and make any additional purchases to enjoy the features of Apple Arcade. Cost of entry being low, Apple can expect huge subscriber counts very quickly much like they saw with the launch of Apple Music. With Google and Apple entering the world of gaming while Microsoft, Sony, and Nintendo are preparing to announce the next generation of consoles, this is going to be an interesting year. The one thing I can say for certain is, this gone be good for us gamers but real bad for our wallets.